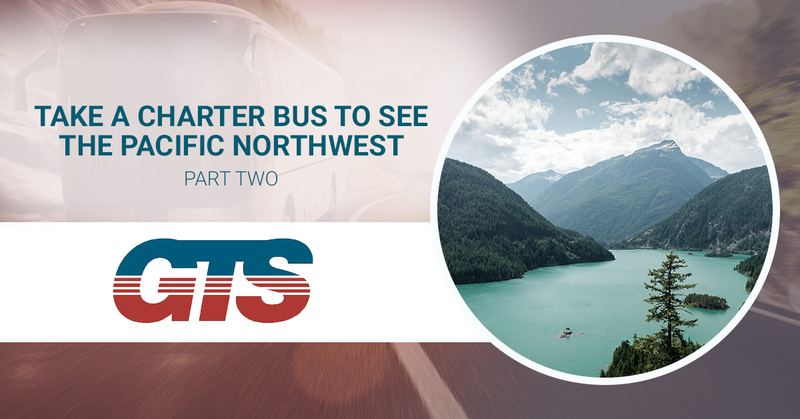 In our last blog entry, we took a look at a few ways to spend your time while you visit Seattle on a charter bus trip. In today’s entry, we will talk about another one of the Pacific Northwest’s best cities: Portland. If your group is looking to go to Portland (or anywhere else in the country), call us at Ground Travel Specialist in Detroit. We have the nicest charter buses, the safest drivers, and all of the amenities that will make any trip, no matter how short or how long, easy and relaxing. Contact us today to learn more or to book your next trip. The largest city in Oregon, Portland has been a diverse, vibrant city for almost 200 years. Today, it is known for its wide range of interesting sites, activities, and food. Check out some of the coolest things to do while you visit Portland. If you aren’t a reader, you should change that. And Powell’s City of Books might be just the place to turn you towards the book side. This bookstore has one of the largest selections of new and used books for sale anywhere in the United States. If you have ever wanted to find a rare, out-of-print book, or you want someone to help you find something that matches your incredibly specific tastes, any of the booksellers at Powell’s would love to help. Be warned: it can be a little overwhelming walking into Powell’s, and you may walk out with so many books that you don’t know how you will be able to finish all of them. One of the country’s premier science museums, the Oregon Museum of Science and Industry (OMSI) features permanent and traveling exhibits that are certain to enrich your understanding of the natural and the man made. Be sure to check out their website often, as the museum regularly updates and adds to their exhibits. Whether you are on an education-based trip or you just want to see some amazing things, OMSI is a great place in which to spend some time while you are in Portland. The Oregon Zoo is dedicated to helping conserve and protect animal species. There are few things more peaceful and fun than spending time at the zoo, and this zoo is no exception. Thanks to a recent community investment in the zoo, there are several new areas to explore, including new elephant habitats, a condor aviary, and an education center. Over the next few years, the zoo will complete a rhinoceros habitat and a primate forest area. In our next blog about what to do while you are in Portland, we will discuss some things that you can see and experience while outdoors. When your group is ready to book a charter bus from Detroit to Portland, please contact us at Ground Travel Specialist. Our charter bus drivers are safe and efficient, and all of our vehicles have everything you need for trips of any length.